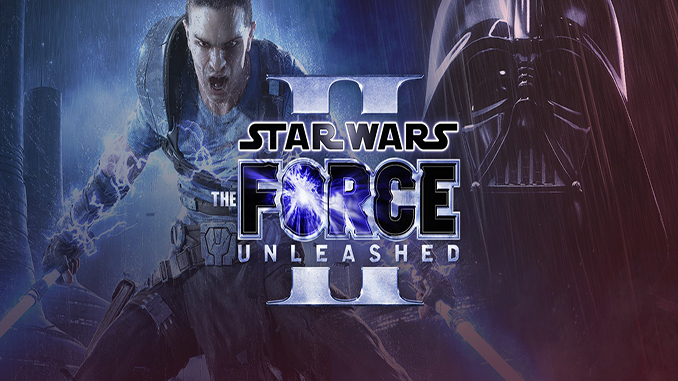 The Star Wars® Saga continues with Star Wars®: The Force Unleashed™ II, the highly anticipated sequel to the fastest-selling Star Wars game ever created. In Star Wars: The Force Unleashed, the world was introduced to Darth Vader’s now fugitive apprentice, Starkiller—the unlikely hero who would ignite the flames of rebellion in a galaxy so desperately in need of a champion. – Continue the galaxy-altering journey of Starkiller, Darth Vader’s fugitive apprentice, that shapes the key events between Star Wars: Episode III and Episode IV. – Unleash the Force with more power and precision through improved controls and new powers, such as the deceptive Mind Trick, which turns enemies against their allies. – Discover the true power of Starkiller with Force Fury, where his attacks and Force powers are exponentially increased. – Improved targeting system enhances precision use of Force powers and greater interaction with puzzles and the environment. – Take combat to the next level with the ability to wield dual lightsabers and punish enemies with all-new combo attacks. – Experience the most life-like interactions with Pixelux Entertainment’s Digital Molecular Matter (DMM) coupled with euphoria from Natural Motion Ltd and the powerful Havok Physics system. – Expanded customization options such as new costumes and power-enhancing lightsaber crystals. – Fight through all-new challenge levels designed to test and hone your fighting and Force power skills. – Skillfully manage your combat techniques to defeat a variety of brand-new enemies, which will culminate in epic boss battles. – Immerse yourself once again in the story that was honored with awards from the Writer’s Guild of America and the Academy of Interactive Arts and Sciences. is there a problem with the utorrents? everytime i try to download one it starts ofr a little bit (usually to 0.2%) then it ends saying there is an error. Does it have the DLC included? Hey man, I just wanted to say what you’re doing is completely amazing and I could never thank you enough nor express it fully just how grateful I am. What you do is awesome and I look forward to many new games being available here in the future. Cheers! Thanks for dropping by, thanks for the kind words have fun!